Smith often said gossip was "news running ahead of itself in a red satin dress"
Liz Smith, the famed gossip columnist who chronicled the highs and lows of New York society for decades and had a second calling as one of the city's most successful charitable fundraisers, has died at the age of 94. 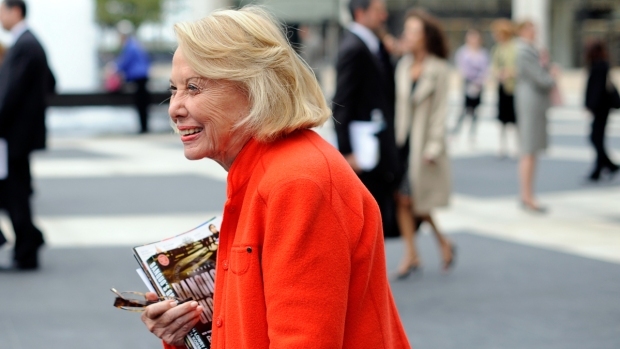 Smith, who was a fixture on WNBC's Live at Five for years, died at her home Sunday, NBC News confirmed. 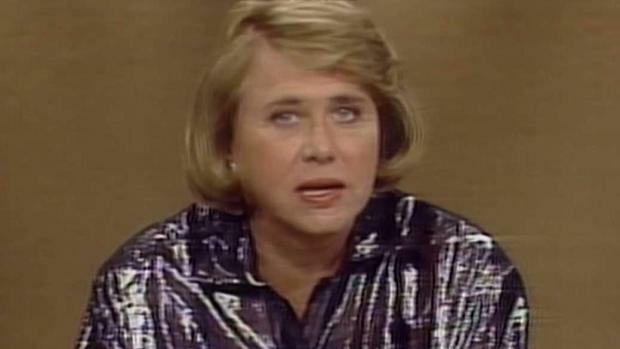 She won an Emmy for her reporting on Live at Five in 1985 and her prolific gossip column was syndicated to nearly seventy newspapers and read by millions. The column, titled "Liz Smith," was one of the most widely read in the world for more than a quarter-century. The column's success was due in part to Smith's own celebrity status, which gave her insider access. Known as "Dame of Dish," she helped usher in the era of celebrity journalism in print and television. Her reporting on the divorce of Donald and Ivana Trump made front page news around the world and led to a deal with Newsday that made her the highest paid columnist in the country, according to her obituary. Smith arrived in New York in 1949 with no job and $50 in her pocket. A friend helped her get work at Modern Screen magazine. She landed her own column at the Daily News in the mid-1970s and her career took off. During a newspaper strike in 1979, she was asked to appear on WNBC's Live at Five, where she became a regular three nights a week for 11 years. Smith succeeded with kindness and an aversion to cheap shots. Whether reporting on entertainers, politicians or power brokers, the "Dame of Dish" never bothered with unfounded rumors, sexual preferences or who's-sleeping-with-whom. She eventually used her access and celebrity — by then she was a household name — to become a champion for literacy. Throughout her life she raised $37 million for Literacy Partners, helping 27,000 people learn to read. "We mustn't take ourselves too seriously in this world of gossip," she told The Associated Press in 1987. "When you look at it realistically, what I do is pretty insignificant. "Still, I'm having a lot of fun." A memorial service will be held to honor her this spring.